Andre Midani was President of the Brazilian record industry association from 1986-88: President of IFPI Latin America (International Federation of the Phonographic Industry) 1992/1997, and Member of the Board of IFPI 1997/2002. Midani was named "Record Man of the Year in Brazil" in 1979/1985/1987 and 1989; and "Man of the Year" of the Americas by the Midem Reeds Organization in 1999 in Miami. The French government awarded Midani the "Chevalier de la Legion d'Honneur" for his life-time achievements in the music industry. Billboard Magazine's 90th anniversary special edition named Midani as one of the 90 most important music people alive. Andr Midani began his career in the music business as a salesman for French DECCA in Paris in 1953. In 1955 Midani moved to Brazil as an international music A&R at EMI-ODEON. He soon took over marketing for both domestic and international repertoires. In 1958 Midani signed the artists who became known as the Bossa Nova "Music from Brazil". Midani launched and promoted them in Brazil and internationally. In 1961 Midani developed a network of companies to sell records door to door for EMI in Brazil, Argentina and Mexico. Shortly thereafter, in 1963, Midani was transferred to Mexico to launch Capitol Records of Mexico as Managing Director. Under his leadership Capitol Records grew from zero to 12 per cent market share within 4 years. In 1968 Midani moved back to Brazil as managing director for Polygram Records, also known as Universal. 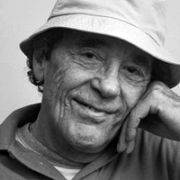 During his tenure at Polygram he developed a very important roaster of domestic artists known as Tropicalistas and the MPB movements. Under Midani the company became the no1 music company in Brazil. From 1978 - 1984 Midani launched various entertainment companies in Brazil, Argentina, and Mexico for Warner Communication. In 1989 Midani became Vice President for Warner Music International and in 1994 he became President for Latin America, the US Latin Market and a Member of the Board responsible for Spain and Italy. Midani was based in New York until 2002. In 2003 Medani returned to Brazil to become High Commissioner to promote and organize "The Year of Brazilian Arts in France 2005" on behalf of the Ministry of Culture: 468 events attended by over 15 millions people in 161 French cities.